Take these four things into consideration when you head out for a motorcycle ride in Missouri. There is no argument that riding a motorcycle is more dangerous than getting into a car. However, there are ways to reduce your chances of being in a motorcycle accident that can end up causing damages and injuries. 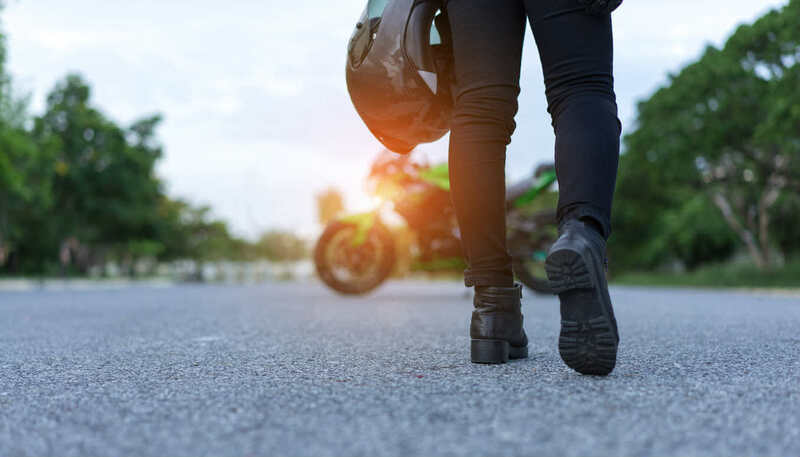 Motorcycles are more dangerous to drive than being in the driver or passenger seat of a car because motorists often can’t see you, and therefore may not make adjustments to accommodate for you. When you are driving a motorcycle in Missouri, it is important that you drive defensively and anticipate that other vehicles can’t see you, instead of assuming that they do. To reduce the risk of being in an accident when you’re riding a motorcycle, here are four ways to protect yourself. A lot of the time motorcycle accidents happen, not because of drivers, but because of driving conditions. Before you hop on your motorcycle, anticipate any storms or weather conditions that might make it more dangerous for you. Things like rain or even chilly conditions that can cause ice on the road might make you want to hold off on your motorcycle ride unless you have to go out. Highways are a way to get there faster, but if you are an inexperienced motorcyclist then you might want to take the road less traveled. The entire idea about riding a motorcycle is to enjoy the journey. Take the roundabout way and avoid major traffic to get where you want to be. It might take a little more time, but getting there safe and sound is totally worth it. If you are going to ride on the highway, then it is imperative to dress yourself accordingly. That means wearing a helmet and the proper clothing to make sure that you are safe regardless of what happens. You will also want to make sure you have the proper training and know what the rules of the road are before you hit the highway. Although it’s legal in some states, it is best to not ride in the middle of the road, even in traffic, unless you absolutely have to get there fast. Sometimes taking your time isn’t just more enjoyable; it can ensure that you actually get there safe and intact. The reality is that most drivers hit motorcycles because they simply don’t anticipate them. If you are driving a motorcycle, then it is imperative that you always assume that someone doesn’t or can’t see you and accommodate accordingly. That means being hyper-vigilant and being aware that even if you are in plain sight, people don’t and can’t see you. Motorcycles are more dangerous for many reasons – mostly because you don’t have the protective exterior of an automobile. However, another factor at play is the reality that a motorcycle is harder to recognize and anticipate when out on the road. So take these four things into consideration when you head out for a motorcycle ride in Missouri.